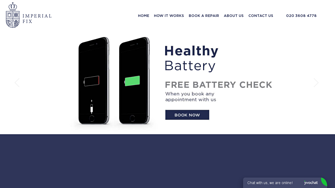 Are you looking for cheap iPhone repair in London? If yes, then ImperialFix has a solution for you. ImperialFix is an experienced team which provides the best iPhone repair service at affordable prices and in the shortest possible time. Our company issues a lifetime guarantee for all types of services provided. We aim to provide convenient and friendly service as well as the highest quality of repairs.